June can be an awfully trying month. Between the rain and the gray and the false-summer feel of it all, some days, it can be tricky just to get out of bed. Especially in a week like this, when it's raining for the—I dunno, 15th? 21st?—day straight. In fact, the only reason I'm up right now is the lettuce. The lettuce just about drags me out of bed. It's been doing this for a few weeks now, since we made it through most of the spinach and then the tat soi and the broccoli rabe, and even the kale. It makes a racket when you go out in the morning to weed, carrying on about how wet it is, and how cold and how windy, and golly, wouldn't it be nice to be inside, wrapped in paper towels and dishcloths in the safety of the crisper. Eventually, of course, once it has made its way into the cripser, it starts wining about that, too, hinting at what a drizzle of olive oil could do for its skin, how a pinch of salt might perk it up, or how maybe, just maybe, it might like to hit the grill for a bit of color here and there. We cave at least once a day, usually twice, and we can still hardly keep up with all its demands. Half a row sits outside as I type, wilting away in the garden like so many red-speckled cheeks. But the other day, I discovered a new way to get ahead. It's called petit pois, and it polishes off a full head of four-season lettuce, Merveille des Quatre Saison, in the blink of an eye. In fact, the heads hardly have a moment to complain—one minute, they're in the garden, full and fresh, and the next they've simmered down into the sweet drapes for a bowl of steaming English peas. 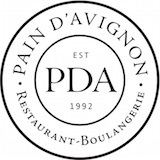 I don't know how I first heard about the dish—maybe online or paging through some old issue of Gourmet—but as soon as I did, I knew it would be marvelous. For starters, there's the poetry of the name, petit pois, which conjures up old, faded photos of French country farmhouses and tumbling stone walls and outdoor markets just brimming with spring. Then there's the concept of the thing—a one pot supper, light and rich all at once, hot yet delicate—just the thing for a June drowning in rain. It's too hot for steak and potatoes, but a bowl of fresh peas with steaming lettuce and chicken broth, a pinch of salt and sugar and peppered a bit—now that I can do. If you're feeling a little cooped up tonight, what with the rain and the wind and the fact that you can hardly see through the clouds, well, petit pois might be the trick. It's a top-notch marriage of spring and summer, and on a wet Monday in June, it just might be the best we can do. When we made this the other day, (when it was, ahem, raining, if you can imagine that) we ate it with a few crackers as a warm, light lunch. If you're serving it as a side, say alongside rice or with a tuna salad sandwich, you could probably stretch it between at least three people, maybe four. It works best with very fresh English shelling peas and a rich, buttery lettuce like Boston or Merveille des Quatre Saison. You could try another leaf lettuce, but I wouldn't recommend anything too stiff like Iceberg or Romaine. You want something that will wilt down and sort of drape itself around the peas, which should be tender and sweet in their pool of chicken broth. 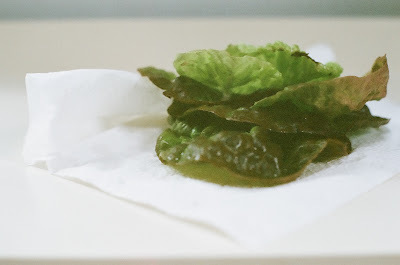 In a medium heavy-bottomed pot, arrange the head of lettuce so that it forms a sort of nest. Pour the peas into the middle and dot them with the butter. Sprinkle the salt, sugar, and pepper over top, and douse the whole thing with the chicken broth. 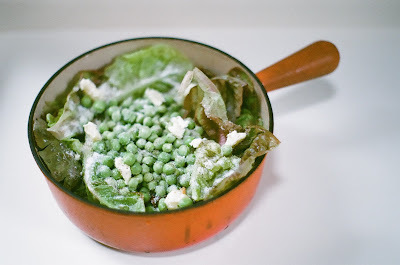 Cover the pot and cook everything over low heat for about eight or ten minutes, until the peas are bright green and tender and the lettuce has wilted into just about nothing. Cut up the greens and serve them hot with the peas and a bit of broth in small, shallow bowls. and the hardest thing is taking good pictures. Stop on by!